The rich diversity and colours of the St. Lawrence seabed will surprise you. Several scuba diving and snorkelling sites await you in Côte-Nord and Bas-Saint-Laurent as well as the Îles de la Madeleine and Gaspésie. Experienced divers will also want to explore shipwrecks such as the Empress of Ireland, which sank off Pointe-au-Père (Rimouski) in 1914. 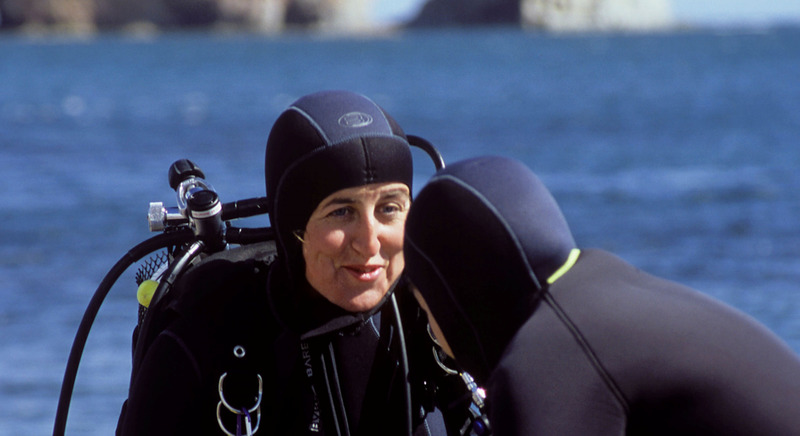 Several diving sites are found in the Forillon, Percé and Chaleur Bay areas as well as in the Matapédia Valley. Don’t miss this opportunity to swim with the fish and marine mammals of Gaspésie! Admire anemones, corals, crabs and even shipwrecks during a dive in this region. Inquire also about diving tours. Accompanied by a guide, explore the flora and fauna found along the rocky sea floor surrounding the archipelago. For a safe experience, find out where to dive from specialized centres.